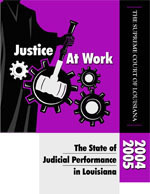 Some items on this page are in portable document format (pdf). 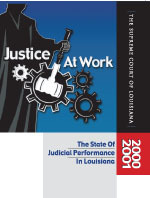 To get a free copy of the Adobe Acrobat PDF reader, please visit the Adobe website. 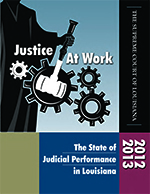 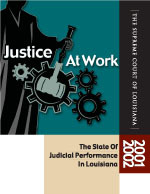 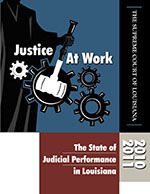 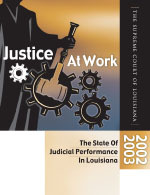 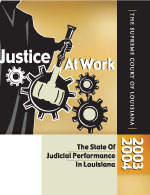 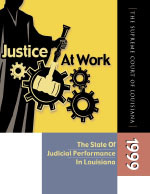 Justice at Work, the annual judicial performance report, is now available in an nteractive format! The report includes detailed information about state courts at every level.